Belinda accepted Christ at age 15 through the ministry of the Navigators. This transformation sparked her interest in music and she taught herself guitar and began to write songs. Attending the University of Minnesota from 1973-1978, she competed on the women's volleyball team and graduated with a BAS in Education (Sports and Health). During her university years Belinda continued developing her musical talents, often performing in coffeebars and contributing to the worship teams in her church and Bible study groups. In 1979 she completed a Bible School with Daystar Ministries and then made use of her teacher training in both primary and secondary school positions. 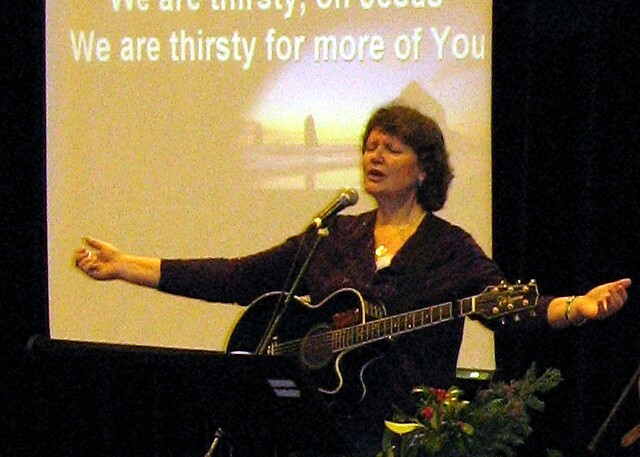 Belinda joined Youth With A Mission as a missionary in 1982, initially serving in Amsterdam with "Musicians For Missions" and later (1985 - present) serving as Worship Director at the YWAM-Heidebeek base. YWAM currently operates in more than 1000 locations in over 149 countries, with a staff of nearly 16,000. In August 2003 she was ordained as an intinerant minister (Assemblies of God) via her sending church, Sojourn Campus Church. From 2009-2017 Belinda served on the international committee of the College of Arts and Sports with YWAM's University of the Nations. 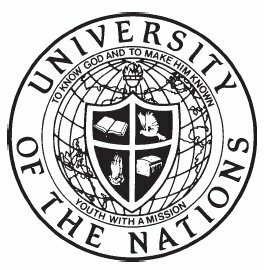 The UofN offers training programs in over 2000 locations in 160 nations and in 90 languages and aims to combine traditional classroom learning with a discipleship atmosphere and practical mission-field experience. Belinda's passion is to mentor and multiply worship leaders and teams in order to call the nations to worship God. With over 35 years of missions experience in Europe, Africa, America and Asia she travels extensively teaching on worship both from an inspirational as well as a practical aspect. Together with the YWAM team, she produced a pioneering praise and worship series called "Muziek voor de Koning" ("Music for the King") in Holland. In addition to three albums of her own music, she has written two books, "Wanted: Worshippers" (worship teaching) and "The Words of Eternal Life" (a devotional) and continues to write articles, songs and a monthly devotional. Many of her songs of worship have been translated into Dutch and are sung in churches throughout the Netherlands. In 2014 she relocated to her home country (USA) and bought her mother's house in Minneapolis with an inheritance her father left her. Belinda joined the YWAM staff in Rockford, MN and is an active member of this young and vibrant community of missionaries. Amazingly, at 60 yrs of age she married a long-time family friend, Karl, and they make their home in Minneapolis. Karl is retired and is very supportive of Belinda's ongoing world travels and the missions she is called to. They have 2 dogs: Ebony and MacGuyver. My aim is to reproduce the ministry of a worship leader by mentoring and equipping able ministers into the harvest fields of the world. I believe that God is using me in other's lives to spark into flame their gifts and callings and to arouse a passion in the Church to love and worship Jesus Christ. Worshipping God wholeheartedly, not only in church buildings but in public places, attracts lost and hungry souls to their Creator. Therefore, I am training worship leaders who will "turn the tide" in their countries through worshipping Jesus. Our praise prepares the way for a harvest of souls in the nations, calling all to worship God. Belinda's role in the UofN is to serve our second-level training course, the School of Worship (SOW). She regularly invests into younger missionary staff and students as a teacher, a coach, and a mentor. With over 40 SOWs registered in over 20 nations around the world, Belinda is traveling extensively throughout the year in Asia, North & South America, Europe, and Africa. With around 35 years of missions and ministry experience she is considered a "trainer of trainers". 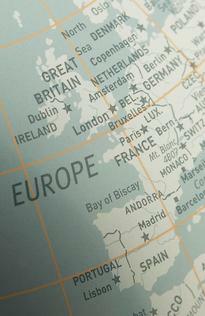 BLoo publishing controls all copyrights for Belinda van de Loo's books and articles. Books and articles are allowed to be shared freely but not to be re-sold. Donate online: use PayPal link below to donate to my mission.